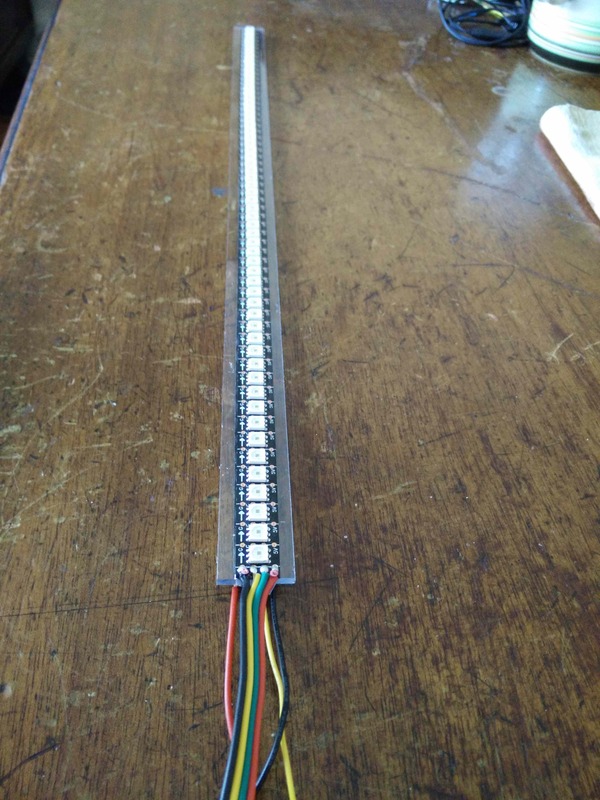 The attached code is written to accept any strip length, and uses the FastLED library. The poi are rechargeable via the single Teensy micro usb port, so no opening up to change batteries. A red light glows gentle through the plastic indicating charging. The finished pov / pixel / graphic poi are 185g each, and 51cm long. Before going further, it is important to note that my requirements for pov poi may well be very different to yours. 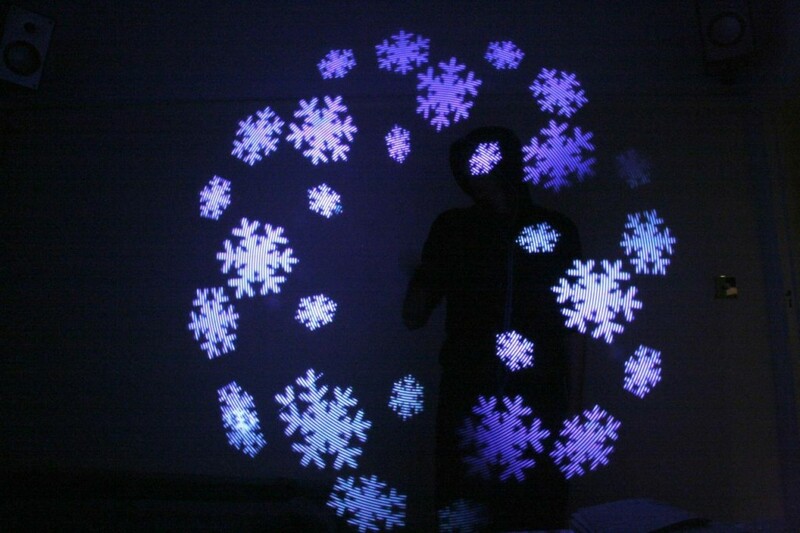 When designing pixel poi you need to consider: image pixel density, weight of final poi/baton, battery longevity, routine code size, length of baton / poi, brightness of leds. I decided to go for lightweight, short, fast spin potential, simple, all relating to space inside the tube housing. Therefore, I am not using a 5v level shifter for these leds, but you can easily fit one (I am saving the remaining space for a flash memory add-on). The trade off is that the battery will only last roughly half an hour when using images with lots of white in them. You will have to consider these issues when building your own version. Total cost for these is less than £200 for the pair. That’s pretty good value. 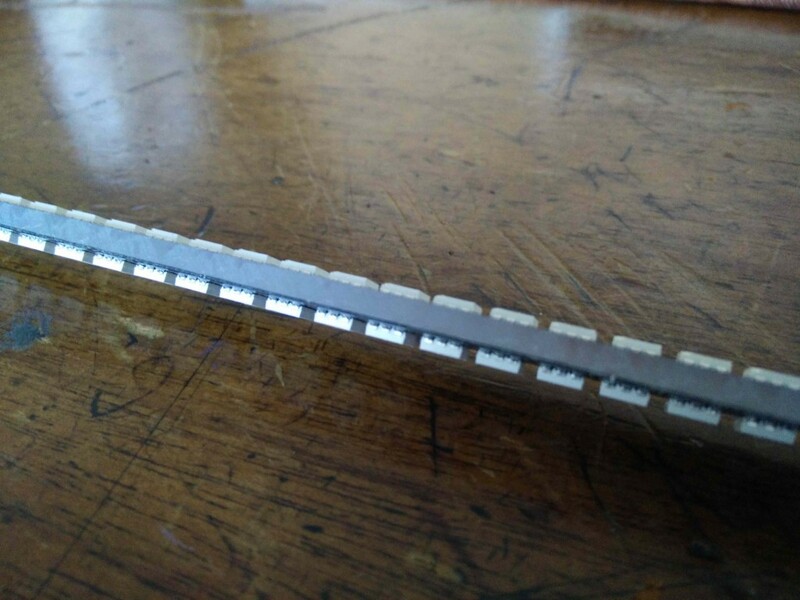 The APA102 leds were chosen as they are the first affordable pixels to come on a high density strip, that also have a suitably high refresh rate. 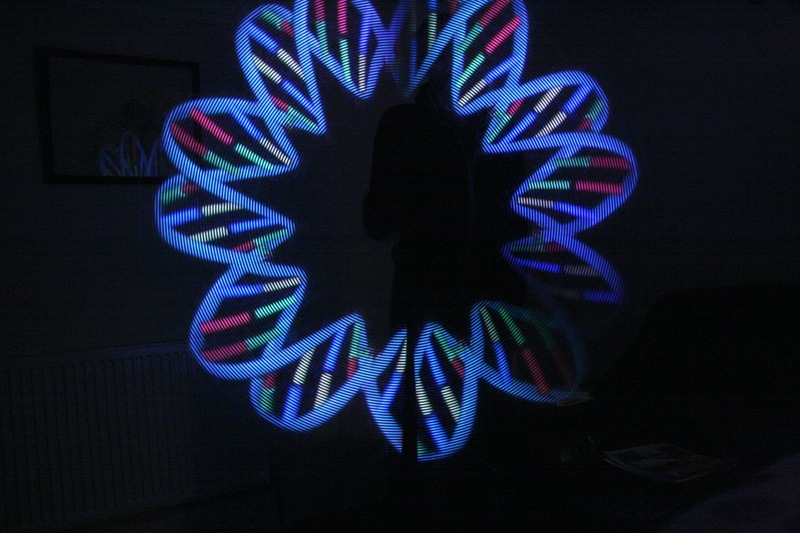 Previous experiments with led strips such as the ws281* did not perform well, gave a speckled image at best, and forced a very slow rotation speed to be used to get effect at all. The APA102 were ordered from China as they were so very much cheaper than buying them from a US or European supplier. Adafruit are more expensive and sell them under the ‘dotstar’ name, I don’t know why. The leds come on a reel with joins in the continuous strip every 50cm. This may important for you, as where they are soldered together the gap between the pixels is ever so slightly greater than the rest of the pixels. This does not make much difference in general, but was a factor in me deciding to cut the strips at this point rather than have the solder point somewhere in the middle of the poi. 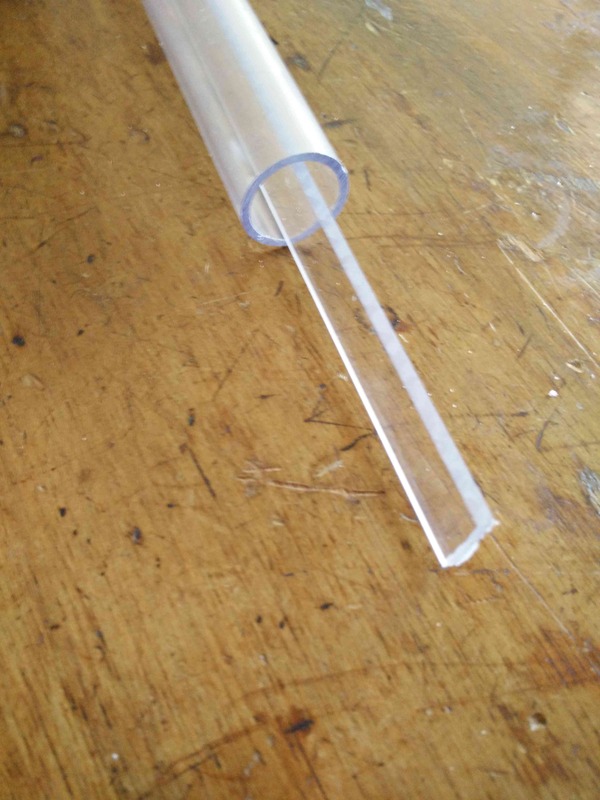 The Polycarbonate tube and strip were ordered with the Teensy in mind. 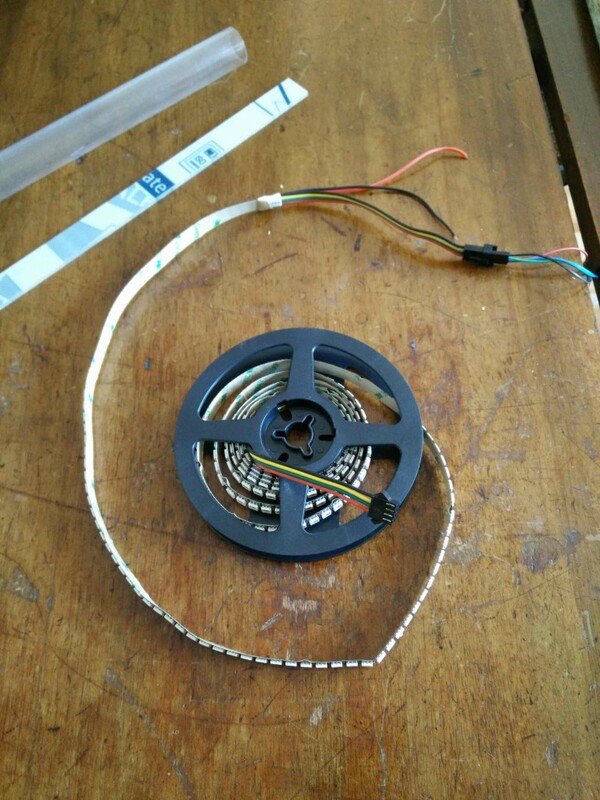 The internal diameter (22mm) is such that the Teensy 3.1 and the 14500 (AA size) 3.7v lipo battery can fit inside together. Polycarbonate is good material to use in that it is strong, can take a knock or two, does not react badly to strong glues, can be drilled and cut without shattering or splintering, and is reasonably lightweight. It is also readily available from mail order services that cut to size and spec. I went a such a tight squeeze so that I could keep the tube as small as possible = as light as possible. 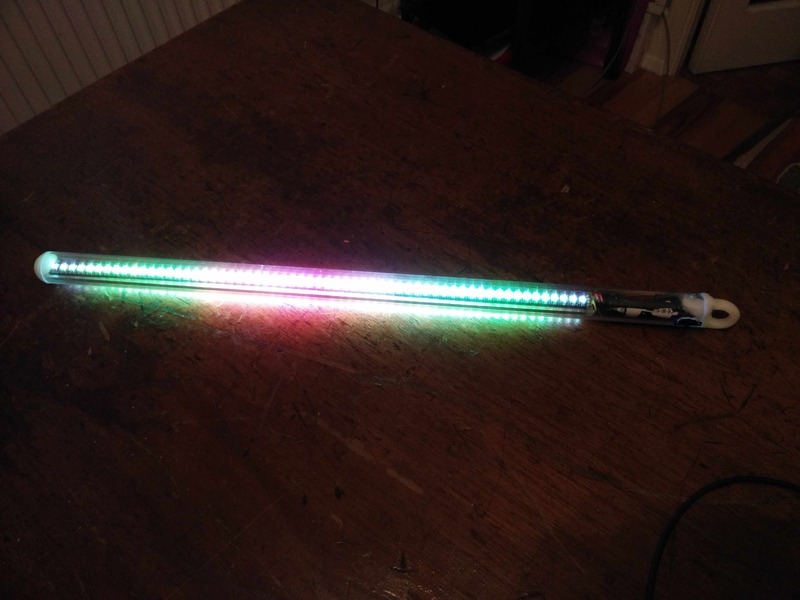 The led strips were fixed to the polycarb strip that goes inside the tube. These strips come with sticky backing, so it was a simple peel and stick process. 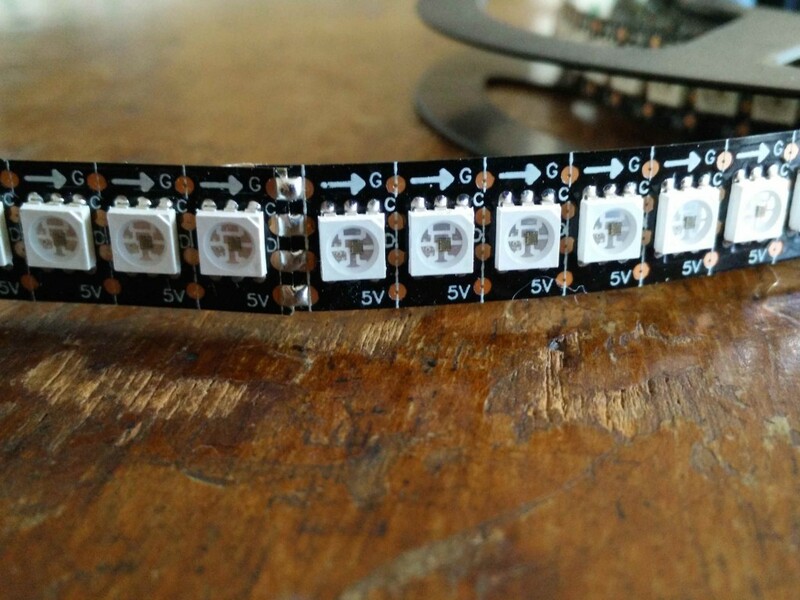 The second side of leds was matched up so that the leds were directly opposite each other. This way you can get away with just have two rows of leds that give a good coverage to the viewer. 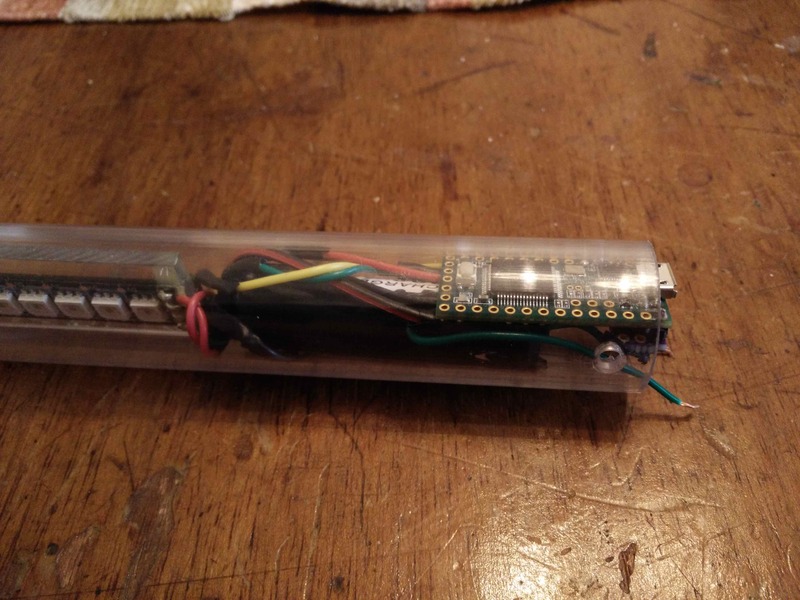 This gets mounted inside the polycarb tube, but not until the wiring is connected. Next, assemble and test the lipo charger on the Teensy 3 with the battery. This charger is the one made by onehorse (add link). it allows you to embed the teensy in the casing and still charge it via the same micro usb port that you upload sketches with. It makes life really easy. I tried direct mounting to the teensy +ve, -ve and usb pins and I tried a different configuration using wires to have the charger remote from the board. This was to test out space requirements. In the end I went with directly mounting to the teensy. Board soldering it the board, I soldered on two wires for the battery terminals, and a wire to use a switch between the battery +ve and Vin. The setup was tested before connecting to the led strips, and then tested again with the led strips connected. 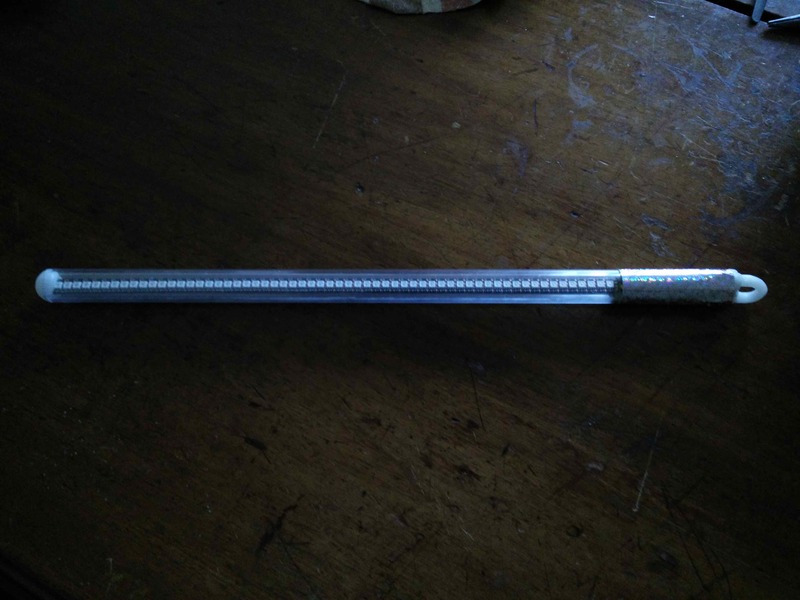 I then used polymorph to fashion a spinning eye and make a cap for the poi baton case. This was then secured using a couple of screws that i’d made holes for in the case. These screws go through the holes in the case and fix in to the polymorph providing a secure fixing for the spinning loops. The software uses FastLED to drive the APA102. At the moment this setup uses non spi pins, and there is further work to do related to using these and using the other spi pins to provide additional flash memory. 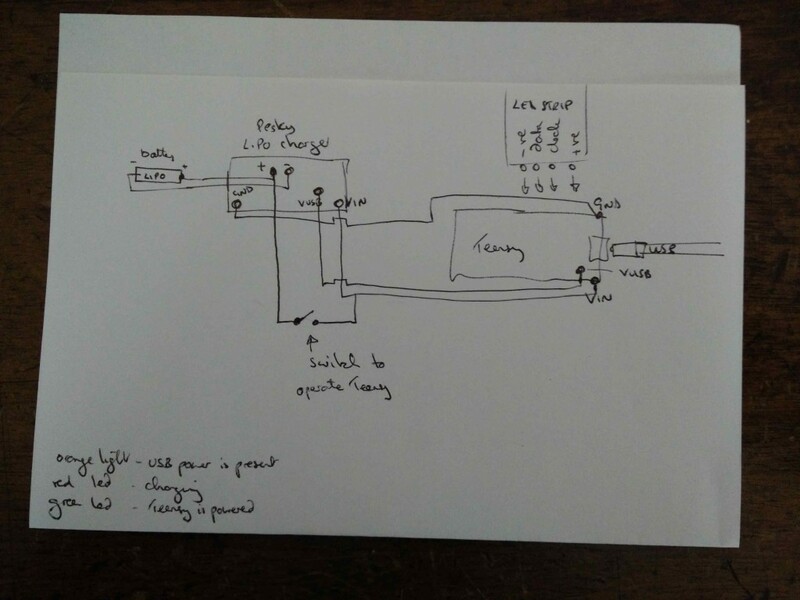 The sketch attached is just an example of how to access and display the image arrays, you can easily add patterns, and also a button in hardware to switch between performance sets. There are two parts to displaying an image. Firstly the image is stored in a ‘const’ array, and then this is accessed by the routine. here is the code with the array elements reduced so that it can fit in this post. The full array is in the attachment. You will see below that the the void PoiSonic routines are consecutively numbered. This is due to the java programme I use to output image arrays in the correct values, It automatically produced the .ino file to upload to the Teensy. You can call the array whatever you and and change the code accordingly. This loop works through the led pixel values held in the const array in memory. As the software I use to make the array put the pixel data top to bottom order, and the leds on the strip are in bottom to top order, the for loop does a switch to put the pixels in reverse order when it grabs the data from the array.